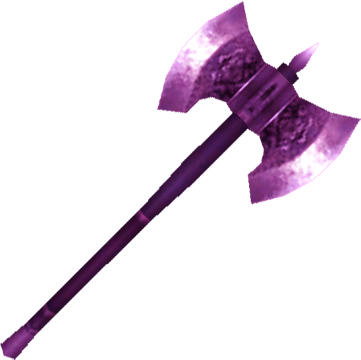 I am using Gurguth's maul on my warrior companion Grissenda and I was thinking of something stronger than that. Gurguth's maul is 10-18 damage and 8 speed. Following two should be stronger than that. In any case I am proposing a weapon that produces 15-35% more DPS than Gurguth's maul. Last edited by Ivan the Immigrant on Tue Jul 11, 2017 3:28 am, edited 20 times in total. 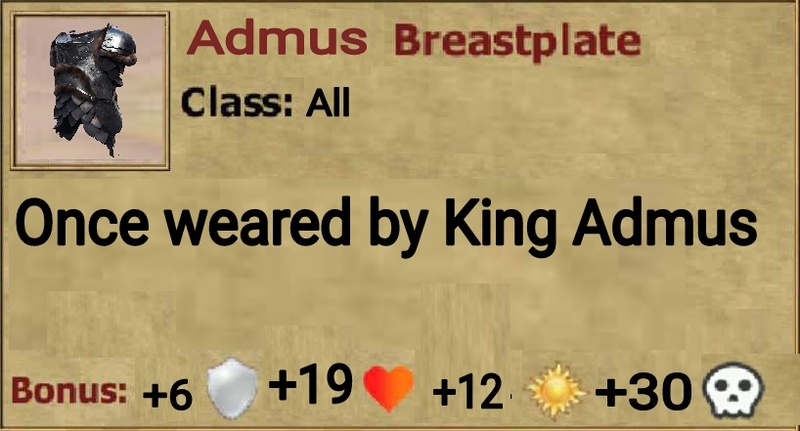 Maybe putting this into Admus's chest? Nice! But unfair for rogues and mages. Warrior only and maybe cleric. 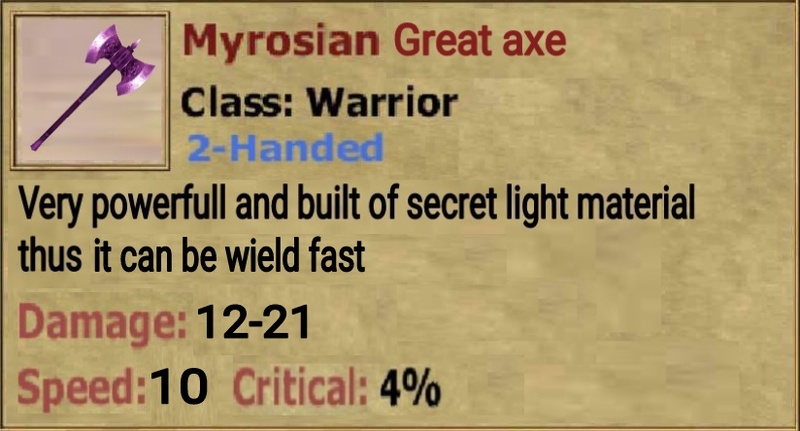 Description: Crafted by skeletal champion who died bravely in last stand against hundreds of myrosian guards. Description: Once wielded by an infamousmercenary who seeks for revenge. Description: A long staff crafted by a legendary monk. Description: If fighting is your thing. Description: It's so heavy it can crush your skull in one blow. Last edited by Slick24 on Wed Aug 02, 2017 6:57 pm, edited 1 time in total. Those are nice equipment, however how do you suppose to use the heart? is it a necklace or belt? Love the Abyss armor and dragon wings though. That sure looks like a badass. For the neck(necklace) slot i think. Last edited by Kriben on Wed Aug 02, 2017 7:36 pm, edited 1 time in total.